A partial refund after the registration period is open, but prior to the first tryout or team placement, will be granted. The refund will be calculated by the original registration fee minus a $25 processing fee. No refunds of any fees paid to play on a St. Lawrence (CYO) team will be made once tryouts or team placement practices begin for thatsport. No refund of any fees will be made until all equipment and uniform parts issued to a child are returned in suitable condition. 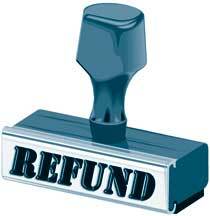 Damage to any equipment or uniform part will be deducted from the refund as determined by the Athletic Director. Damages in excess of the amount to be refunded will be further assessed to family and may deem child (ren) ineligible forparticipation. A FULL refund will be made if the sport that your child (ren) registered for has cuts and they are not placed on a team.